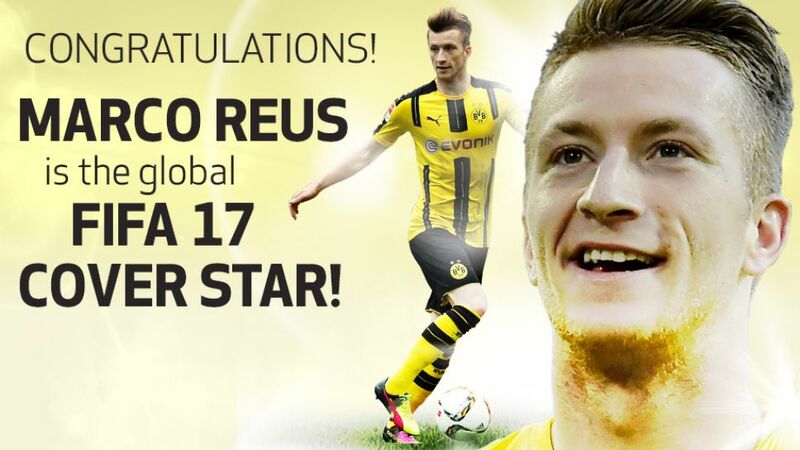 Borussia Dortmund attacker Marco Reus won in the race to be named the FIFA 17 cover star. Borussia Dortmund forward Marco Reus will adorn the front cover of the upcoming FIFA 17 video game after winning the fans’ poll organised by EA SPORTS. Reus won the vote, beating competition from Real Madrid CF’s James Rodriguez, Chelsea FC forward Eden Hazard and promising Manchester United FC attacker Anthony Martial. Despite battling with injuries last season, 27-year-old Reus still chipped in with an impressive 21 goals and seven assists in all competitions as Die Schwarzgelben finished as runners up in the Bundesliga and DFB Cup. The latest version of the hugely popular game, which last year featured FC Barcelona’s Lionel Messi on the front cover, will be released on 27 September in the USA, with the global release two days later.